25 pcs per box, 200 pcs per carton. It is suitable for grinding medium and high tensile strength metal . It is used for grinding harder material and metals sensitive to heat such as chilled steel, high carbon steel, ordinary high speed steel, alloy steel ,It is mainly suitable for the grinding and forming grinding of instrument, cutting tools, mould, gears, threads ,thin-wall parts, etc. It is suitable for the grinding of chilled steel, cutting tools and workpieces of alloy steel as well as the precision grinding of measuring tools and parts of instruments and appratus, etc. It is suitable for the grinding of stainless steel , high vanadium-high speed steel and the workpieces in high toughness and being easily-deformed and burnt. 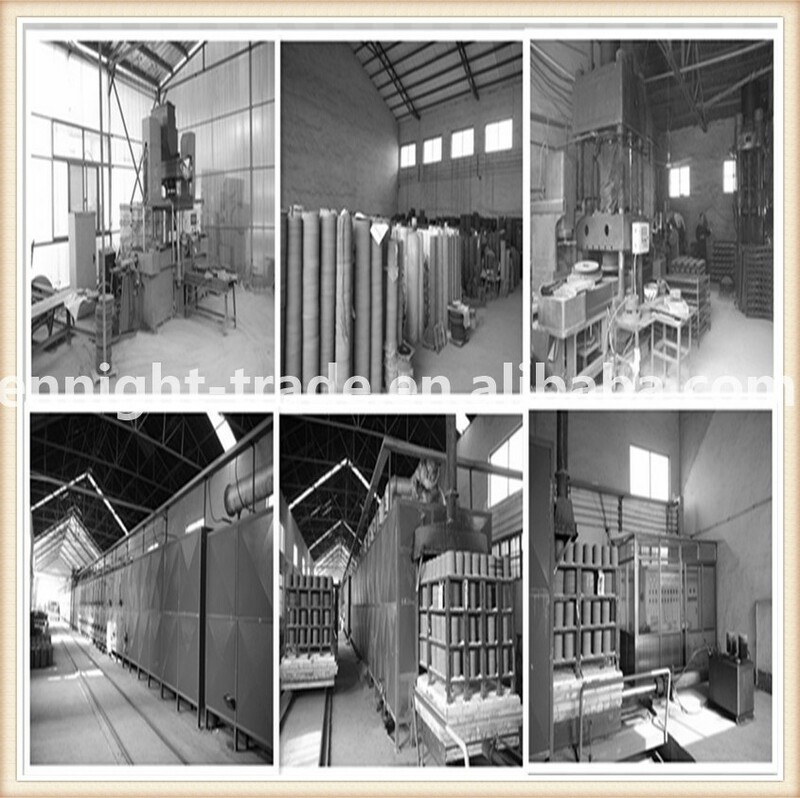 It is suitable for the grinding of nodular cast iron crankshaft, cam shafts and other workpieces. It is suitable for the grinding of cutting tools and workpieeces of hard alloy, and non-metal materials, etc. It is suitable for the grinding of non-ferrous and non-metal materials. Welcome to Shandong Dongxing Abrasives & Grinding Tools Co., Ltd! 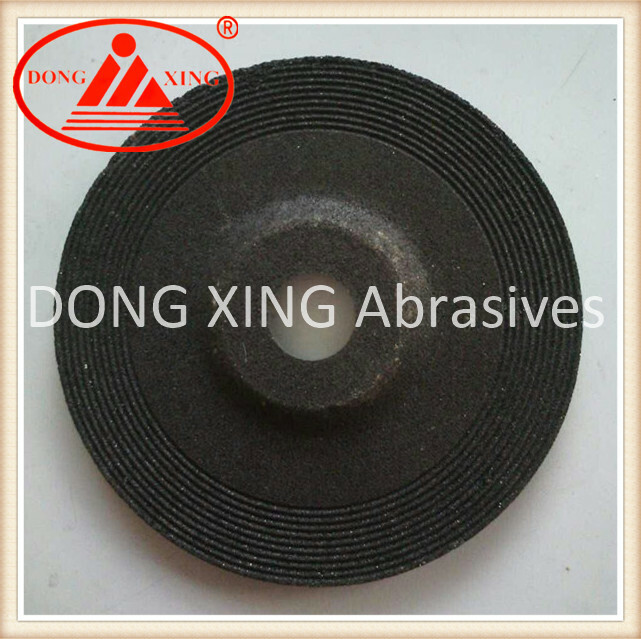 Shandong Dongxing Abrasives & Grinding Tools Co., Ltd is a leading supplier of one-stop sources for vitrified grinding wheels. The factory is specialized in manufacturing types of grinding wheels with different diameters, grit and hardness since 1990. 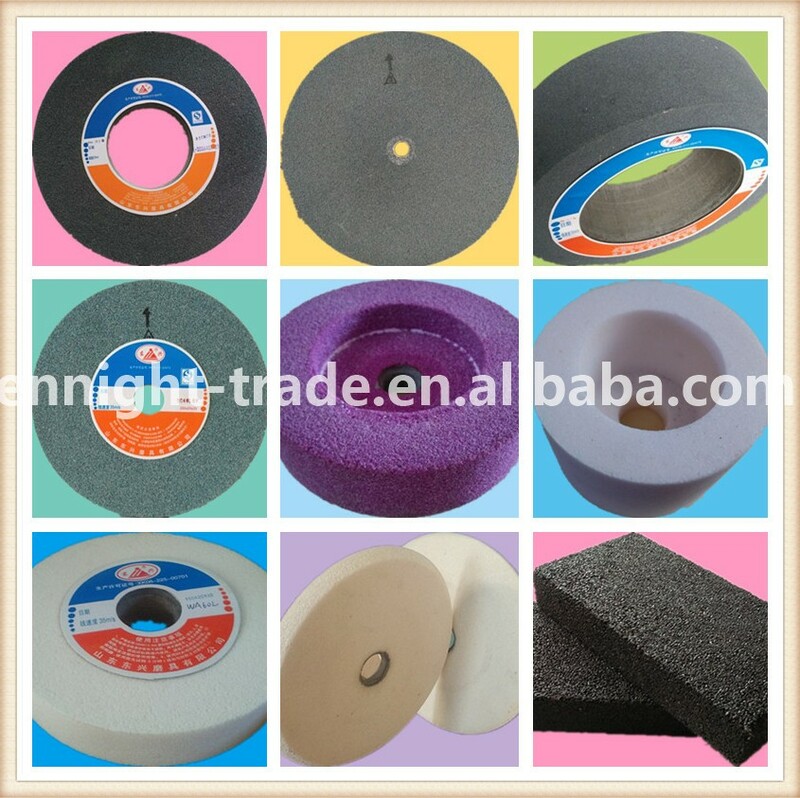 Aluminum Oxide and silicon carbide with vitrified bonded agent is our main products. Exquisite technology and advanced production technology makes our products being high quality. 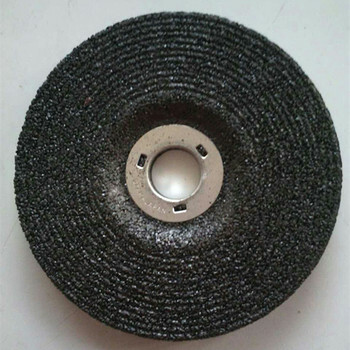 The production capacity of abrasive grinding wheel is annually thousands of million pieces, which is popular at home and abroad and widely used in industry. Middle-East, South-East countries and America countries are our main market. We are proud to be ISO 9001 certified. Our products are manufactured in according to ANSI safety requirement. 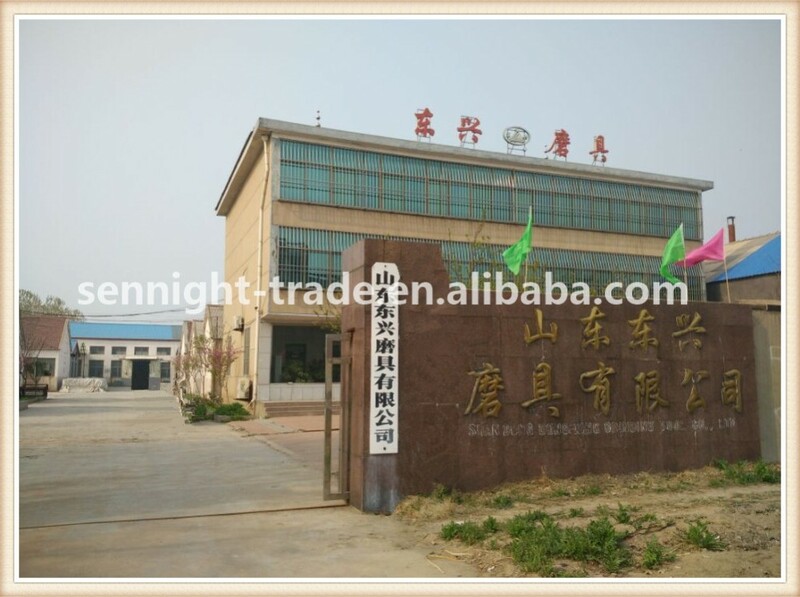 Welcome every one to visit our factory! For the Packaging, we can offer one inside box per piece, and several pieces in one carton, which depend on the sizes. Or we can make the pakage as per the customer's requirement. The package can protect the goods from damaging during the delivering. 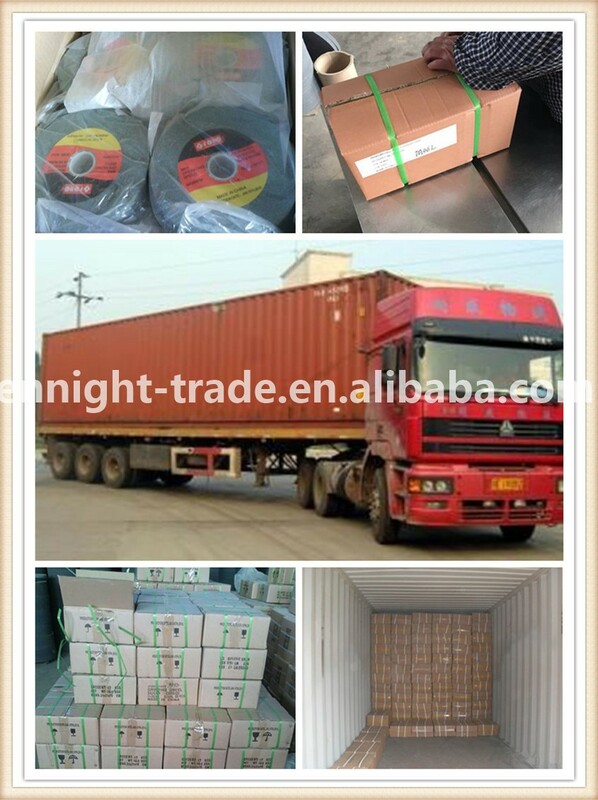 For the Shipping issues, we can deliver the goods to our near port, like Port of Qingdao and Port of Shanghai. Q: What's the features of your Grinding Wheels? 2.it s grain edges are sharp and it's of excellent capacity of heat-transmission. 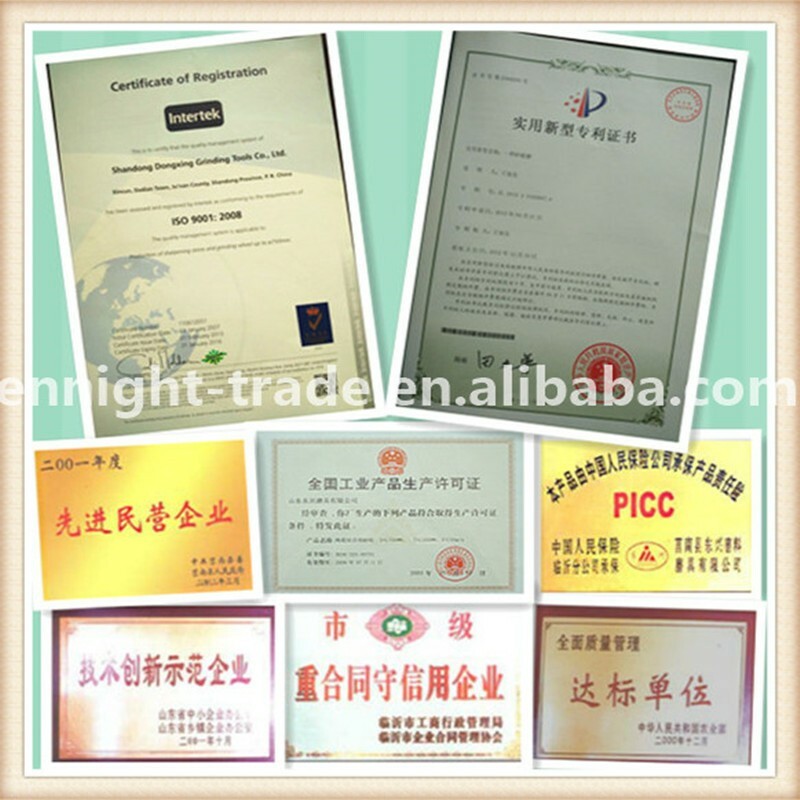 4,a serious of sizes,according to your request, and can OEM your brand, we have applied ISO 9001. 5.the speed is 35m/s . Q: What's the scale of your products? 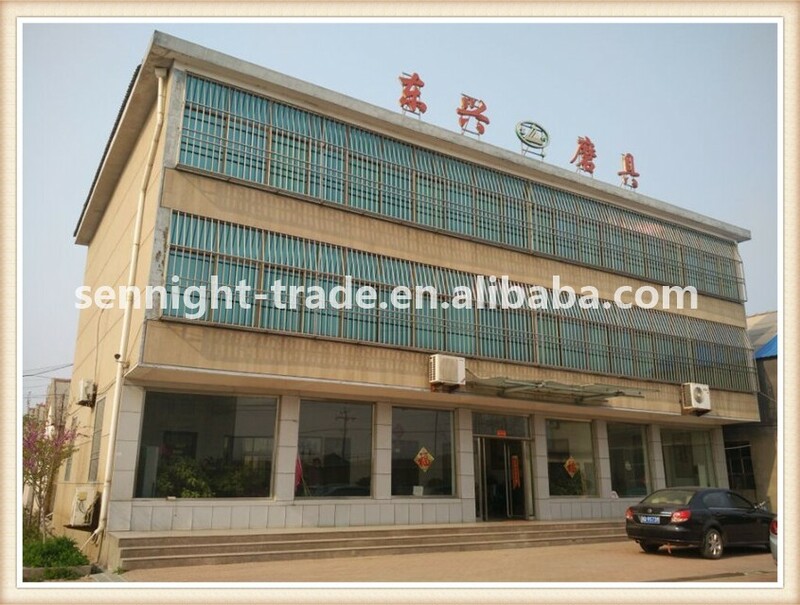 Qingdao Sennight International Trading Com., Ltd.
Shandong Dongxing Abrasive & Grinding Tools Com., Ltd.